Robert T. “Eggman”Robert T. Harrigan, age 76, of South Toledo, passed away unexpectedly on Saturday, November 28, 2015, in The Toledo Hospital. Bob was born in Toledo, Ohio to Clarence and Charlotte Harrigan. He was a proud graduate of Libbey High School class of 1957, was a parishioner at OLPH for over 50 years and was a member of the Knights of Columbus St. Jude Council. Shortly after graduating from high school, Bob started working at Napoleon Creamery. In 1974, Bob bought out the Toledo division of the wholesale dairy products distributor, renamed it Napoleon Farms and he became known as the Eggman. His customers appreciated his personal service and many became close friends. He worked side by side with his wife, retiring after 52 years in the business in 2009.Bob joined Harbor View Yacht Club in 1980, where he continued to be an active member. In 1993, Bob was elected Commodore and served his club proudly. 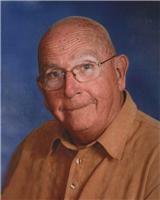 He developed lasting ties with the boating community in and around the Lake Erie area. His boat (Eggman) was widely recognized when he was out on the lake. One of his greatest joys was fishing with his family. On May 25, 1963, Bob married Mary Chris English. In addition to his loving wife of 52 years, Bob will be missed by his children, Patrick (Debbie) Harrigan, Kelley (Joe) Blackburn, Michael (Cathy) Harrigan, Jennifer Harrigan (Jeff Niehaus); grandchildren, Angie (Joe) Thomason, Tori (Jamie) Sischo, USMC Lance Cpl Josh, Kristine and Kass Blackburn, Jacob Harrigan, Sean and Brian Dooley; great-grandchildren, Katelyn and Justin Thomason, Mason and Maliah Sischo. Also surviving are sisters-in-law, Jean (Bob) McKee, Kathy Schultz, Dorothy (John) Luetzow and Joan English. He was preceded in death by his parents and brother, Edward. Friends may visit at the Coyle Funeral Home, 1770 S. Reynolds Rd. on Friday, December 4, 2015, from 2:00 to 8:00 p.m. with HVYC services at 7:00 p.m. Funeral services will be held at Our Lady of Perpetual Help Church (Sherwood and AW Trail) on Saturday, December 5, 2015, at 10:30 a.m. where the family will greet guests starting at 9:30 a.m. Committal Services will be held in Resurrection Cemetery. In lieu of flowers, please con-sider a contribution to OLPH Church or the charity of the donor’s choice . The family would like to thank Dr. Kasunic and the staff at Toledo Clinic Cancer Center for their care and kindness through these past 8 years. Bob never let his cancer change who he was or keep him from doing the things he loved to do.